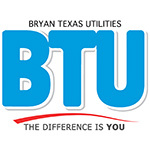 Bryan Texas Utilities (BTU) is upgrading to a new bill pay service to better serve you, our customers. With additional security measures in place, accessing your account and making a bill payment will be even more secure. This new Payment Card Industry (PCI) compliant bill pay system, provides the highest standards of internet security to preserve the privacy of customers. All information provided is securely stored and is never shared with third parties. With this new bill pay system, BTU customers will continue to have access to electronic payment options including recurring auto-pay, online payments, and Interactive Voice Response (IVR) phone payments. BTU customers will also still have the option to go paperless and receive their bills electronically. While no action is needed at this time, all customers who have recurring payments or receive e-bills will need to log into their existing account at www.btutilities.com and follow the steps to create a new payment profile once notification is provided by BTU. 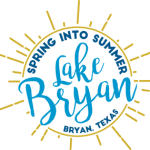 Current online customers will receive email notifications with specific information about when and how to create their new payment profile.